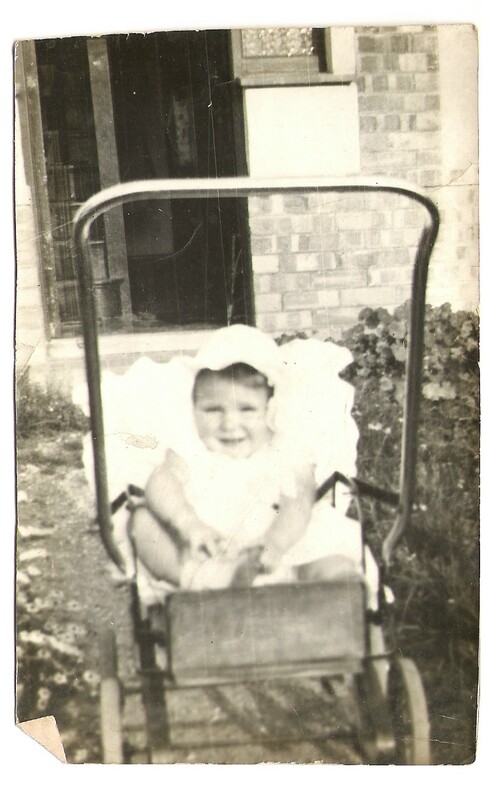 I was born Mollie Patricia Jacobs on 29th February 1936 in Portsmouth. 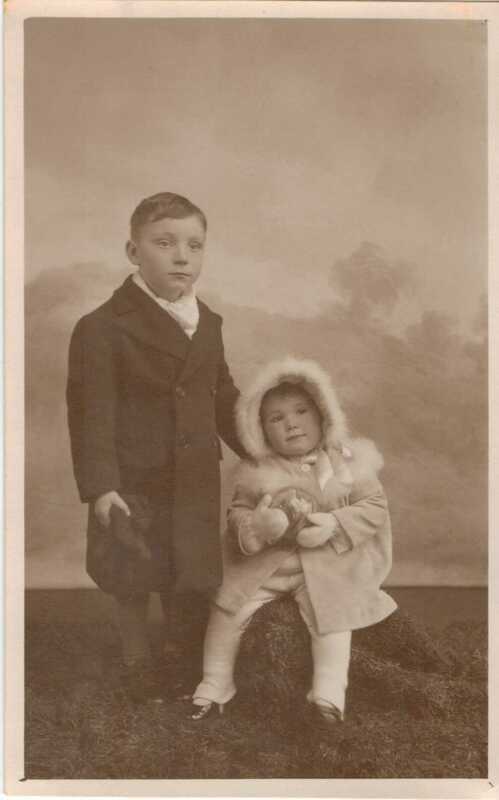 I started school in 1940 on the Isle of Man and attended various junior schools in Lee-on Solent, Figheldean, Portsmouth and Bristol dodging the bombing during the war years. 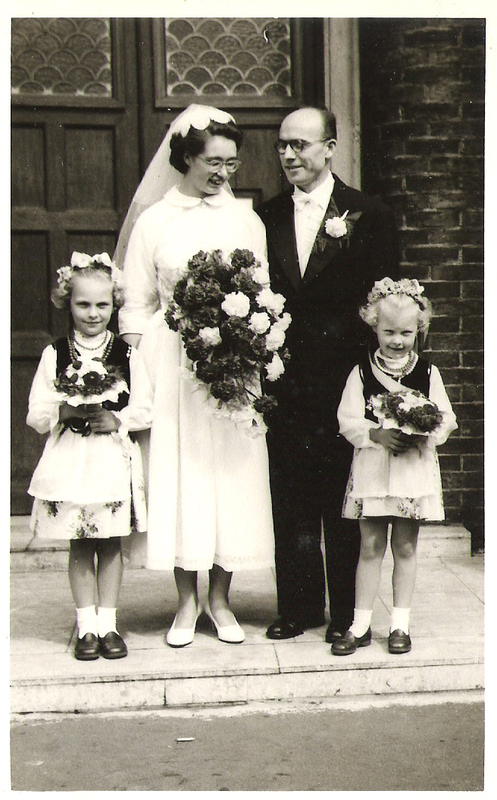 I worked in a local day nursery from 1952 to 1954 gaining my NNEB then moved to The Royal Free Hospital in London where I trained for my SRN certificate which I obtained in October 1957. 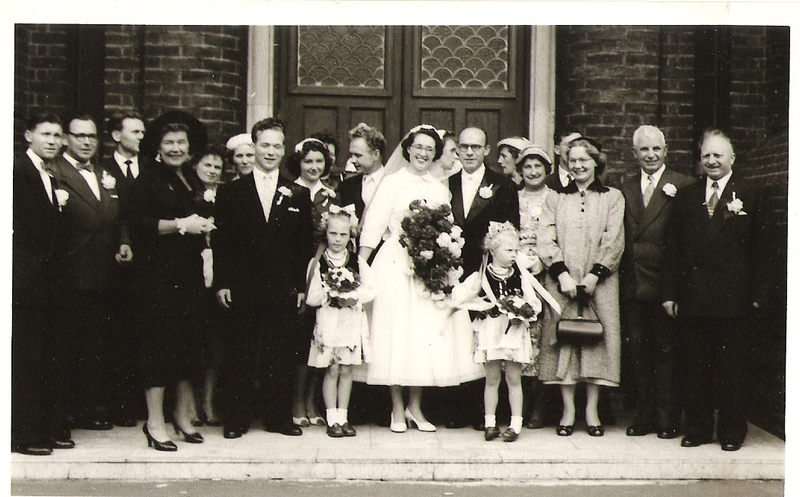 During this time I met Kazimierz Wink who was born in Pinsk Poland on 16th June 1921, and whom I married 10th August 1957 in Harlesdon north London. 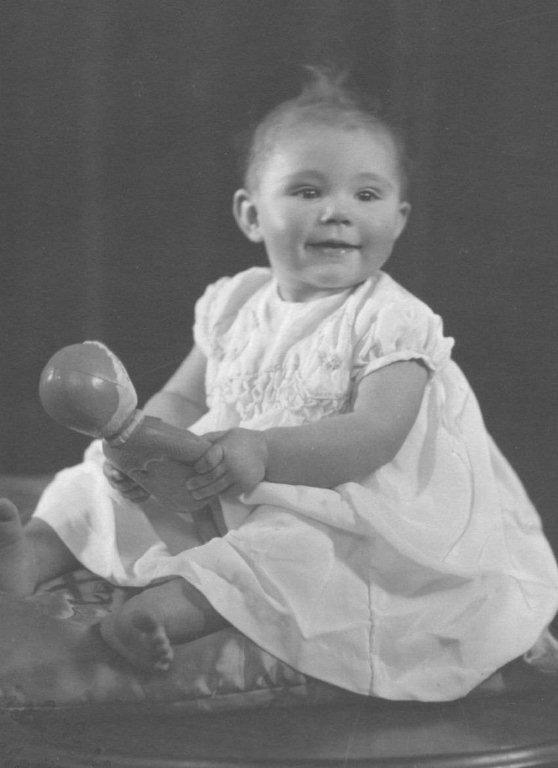 Alison Patricia Wink was born in the Central Middlesex Hospital on 7th June 1958. We moved to 59 St. Stephens Rd. Hounslow in March 1959. 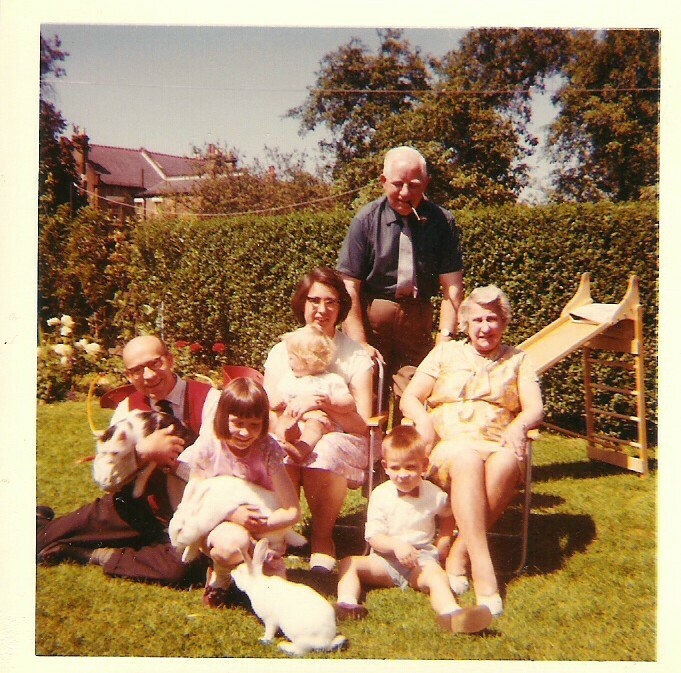 In January 1960 I became ill and spent a short time in Paulsgrove with mum and dad where I was admitted to Queen Alexandra Hospital and diagnosed with Addison's Disease. I returned to Hounslow later that year and Martin Wink was born 8th August 1963 in The West Middlesex Hospital, Isleworth. I returned to nursing in 1971 and left The West Middlesex Hospital in 1986 where I had worked part-time as a Staff Nurse. 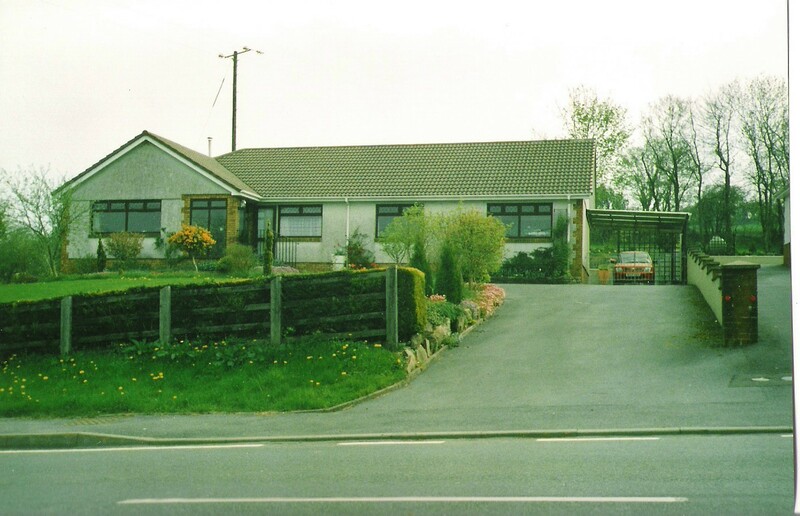 Kazimierz (known as Kazik) retired from Fairey Hydraulics that year and moved to a piece of land in Carmel, Carmarthenshire where he set about building Fedwen Arian (Silver Birch), a bungalow which I moved into with him in July 1991 - my present home. Alex Wink was born to Alison and her partner of 6 years Alexandros Louis Kacouffa on 2nd August 1987 in West Middlesex Hospital Isleworth. 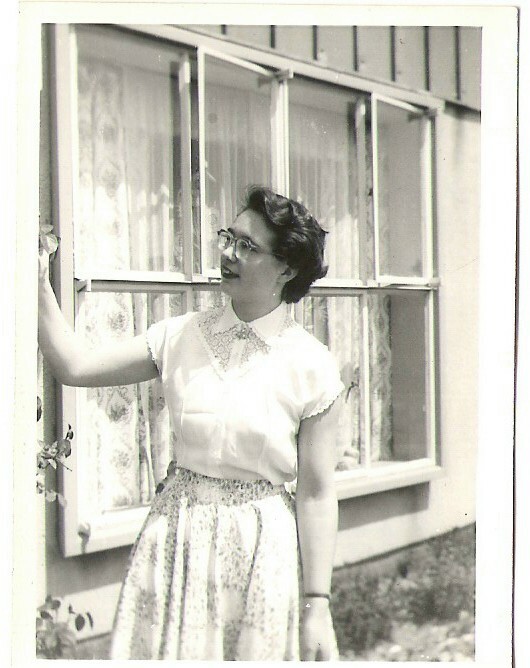 As we moved to Wales Alison moved into 59 St. Stephens Rd Hounslow having parted from her son's father. Martin moved in with her after university and a time in USA, and Stephen moved there after university. Kazik died 26th September 2001 in Llanelli Carmarthenshire. Martin moved to his present home in Crowthorne Berks in 2002. Alison moved to Brockenhurst Hants in 2003. Stephen moved to Hounslow where he lives with his wife Clodagh Rose McKernan. They married in Richmond Register Office on 19th July 2007. Their son Oliver Kazek McKernan-Wink was born 21st December 2004 in West Middlesex Hospital Isleworth and was christened at St. Edmunds RC church Whitton 21st July 2007. Their daughter Ciara Rose McKernan-Wink was born 7th August 2008 in West Middlesex Hospital Isleworth and was christened at St.Edmunds RC church Whitton 21st August 2010. Their daughter Roisin Rose McKernan-Wink was born 16th November 2010 at West Middlesex Hospital Isleworth and was christened at St. Edmunds RC church Whitton 14th May 2011. I still live on my own in Carmel. I am unsteady on my legs now but am able to drive locally and so keep my independence luckily.